In today’s assisted living facilities, the need to discreetly respond to immediate patient needs is of the utmost importance. 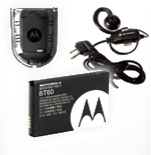 Motorola supplies its CLS Series to provide you with simple and instantaneous capabilities for life-critical issues. With our technology, overhead paging is a thing of the past. In an industry where needs are always unique, and always sensitive, rely on our radios.